Many of you know that over the years, I've shifted my perspective on fitness dramatically. I came into fitness in 2010 with a belief in one physical standard as the ultimate ideal for which we were all striving. I was one of those, "no excuses," #teamnodaysoff, "yes, I can help you look like this supermodel," person. As I've deepened my education (largely through reading and listening, mainly to the voices of the most marginalized among us), I've learned that ideal is leaving people out, teaching us that we can't trust our own intuition, normalizing disrespect and dehumanization, moralizing "health," and damaging all of us (though, certainly, not all of us to the same degree). You don't have to leave the gym feeling like you're less than anyone else. The number on the scale doesn't have to have any bearing on your life. Fitness can connect you to your body (not make you feel like your body is the enemy or wrong in any way). Fitness can introduce you to parts of yourself you haven't yet met. Fitness can teach you how strong you are, not just in the gym, but in all areas of your life. Fitness can feel like power, like strength, like a release, like communication, and like FUN. 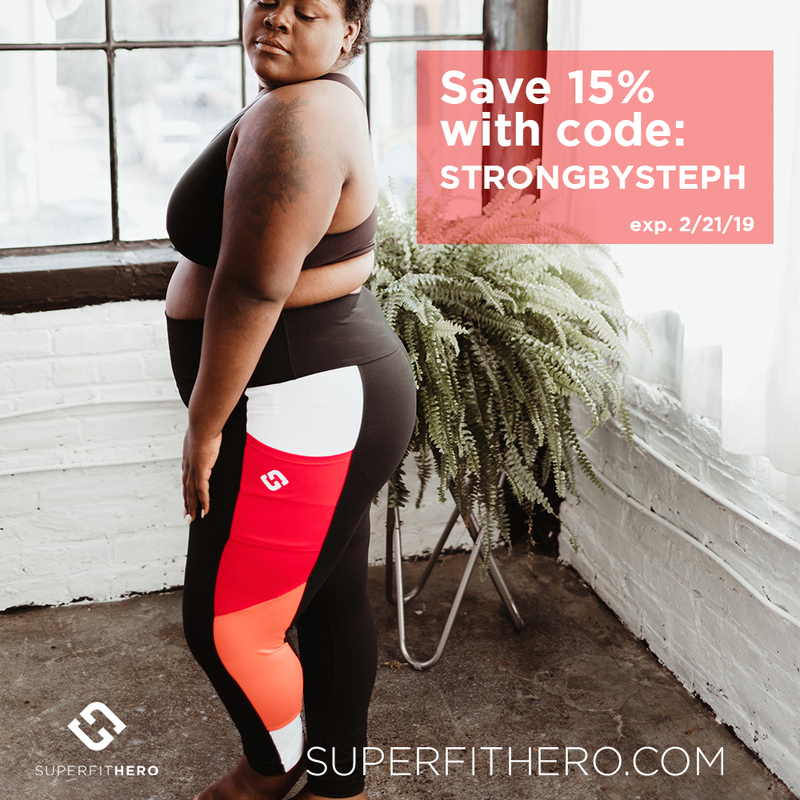 I'm SUPER excited to be included in theBody Positive Fitness Finder, an incredible resource from Superfit Hero! There's a whole database of coaches, both in-person and online, who are, "committed to inclusivity and acceptance of all body types regardless of size, gender identity or athletic ability." I didn't know that there were so many other coaches who shared this philosophy, and I was thrilled to learn how many fitness professionals did. AND- they gave me a small gift to give to you! If you use the code in the photo below as you shop on their website, you can save 15% as a first-time customer, between now and February 21. Thank you for being here as I've learned and grown in the fitness industry, and I hope you enjoy your new workout gear as much as I do! Jan 22 How Do You Define Yourself?